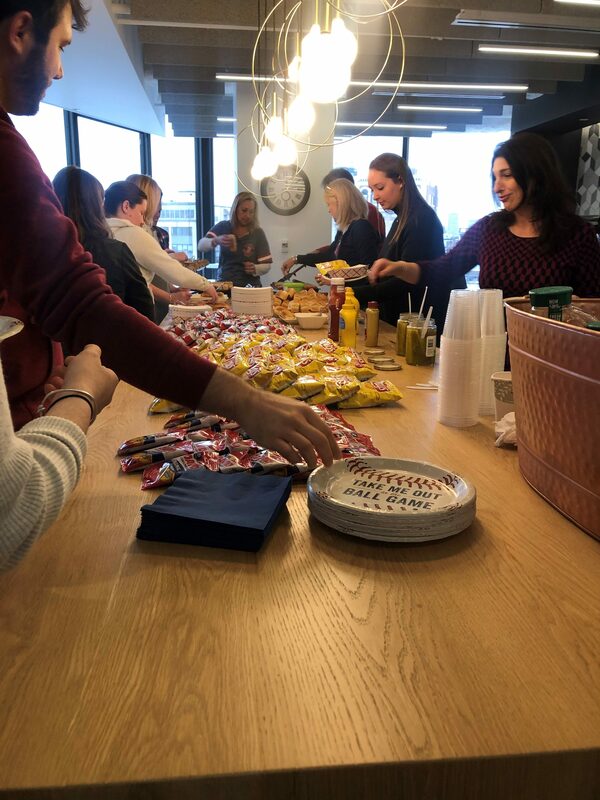 Yesterday, SHIFT Boston celebrated the 2019 Red Sox Home Opener with all the essentials – hot dogs, Cracker Jack, and sunflower seeds. 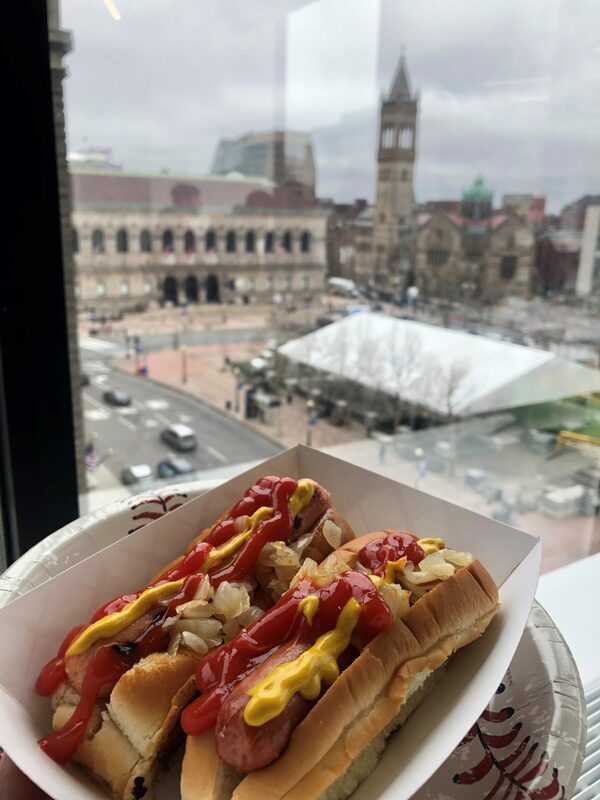 Not to brag or anything, but Boston is home to the 2018 World Series Champions (that’s championship number 9 by the way), and SHIFT’s office happens to be a mere mile away from all of the action. 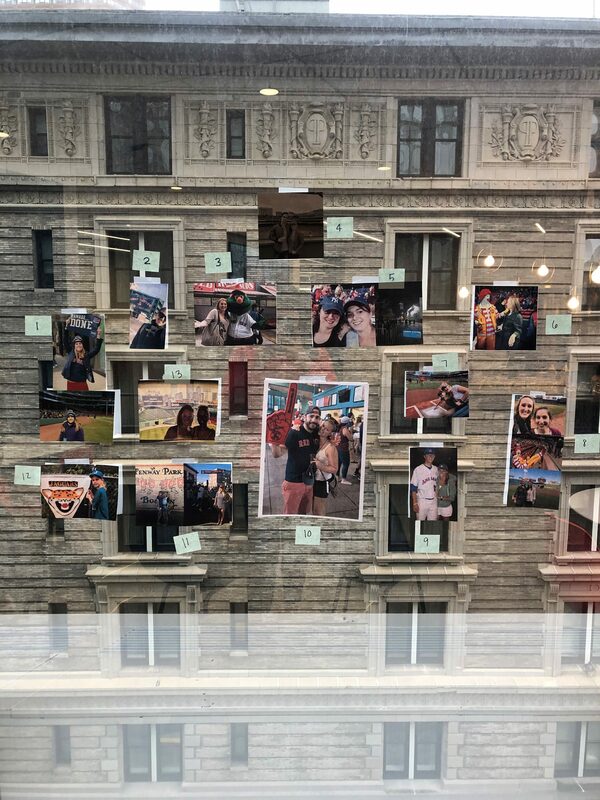 Since we couldn’t take the whole office to Fenway Park, we decided to bring a little bit of Fenway to the office instead. 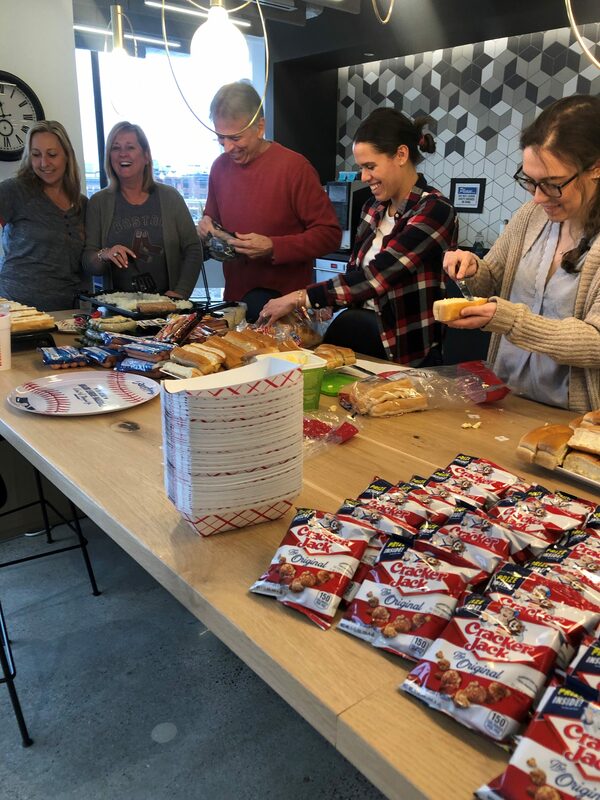 Every year our CEO, Jim Joyal, grills hot dogs for everyone and this year did not disappoint. 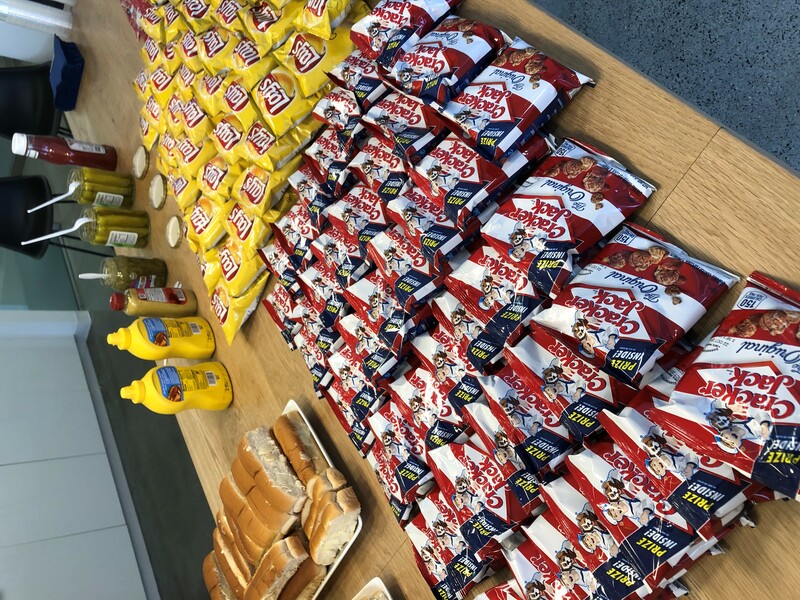 We had three kinds of hot dogs to choose from and plenty of toppings like grilled onions, relish, mustard, and ketchup. 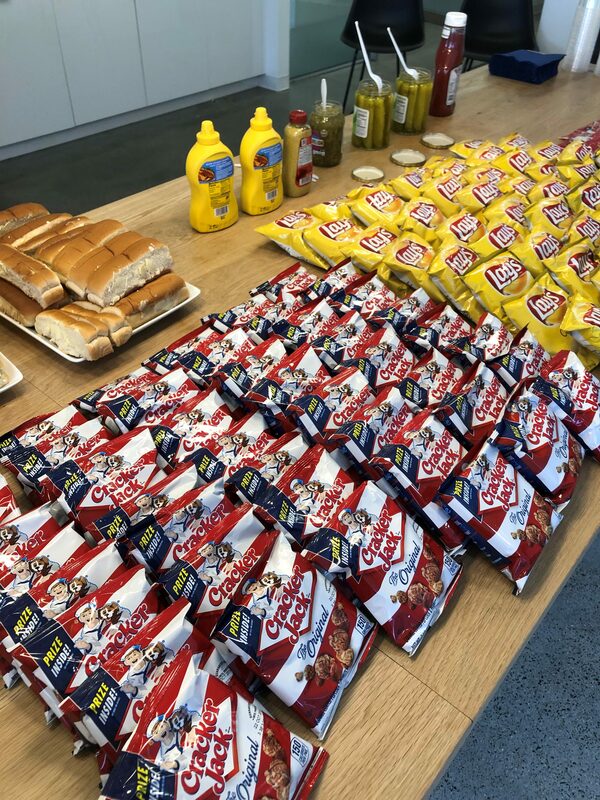 Don’t worry, we didn’t forget the snacks. 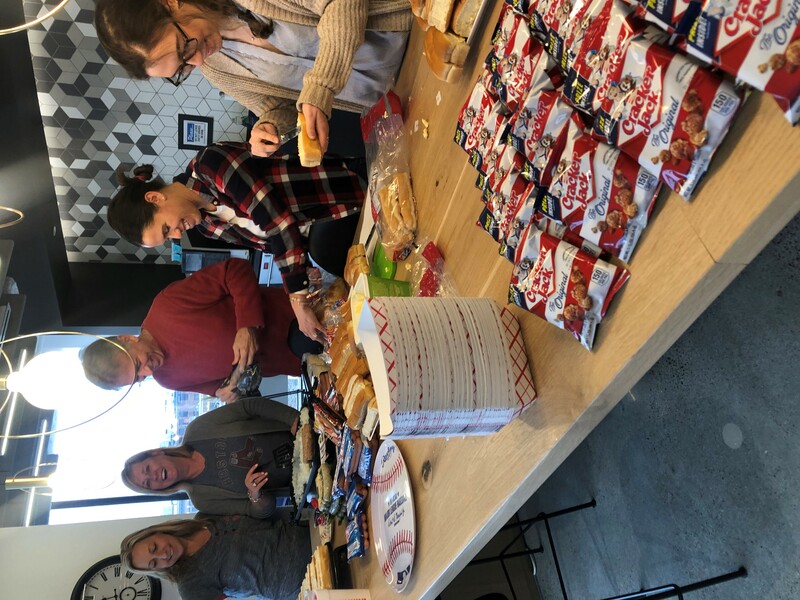 SHIFTers enjoyed pickles, sunflower seeds, potato chips, and Cracker Jack. 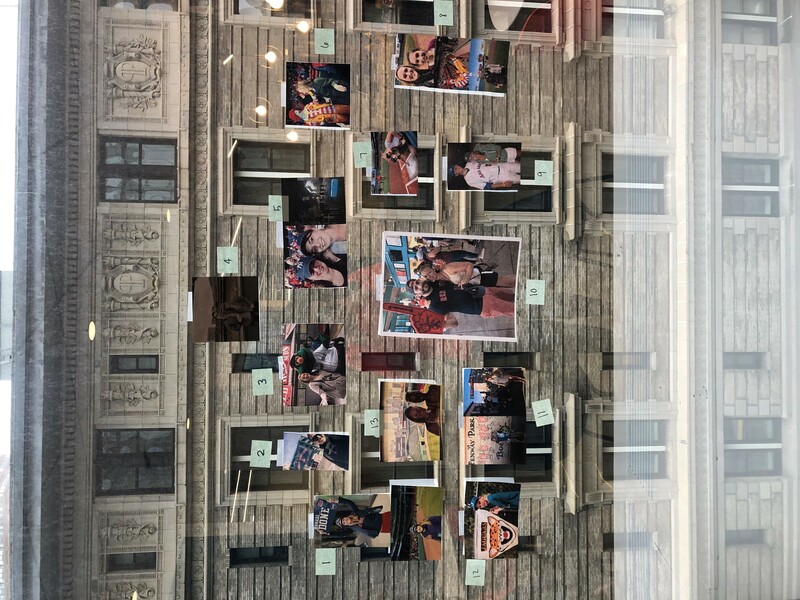 We even asked SHIFTers to bring in any baseball photos they may have for a photo contest where two lucky winners won prizes! As you all already know, we have some pretty talented staff, too. No Opening Day party is complete if someone doesn’t sing Take Me Out to the Ball Game. SHIFT’s very own Stephanie Kacoyanis led the office in a sing-along (She outshined the rest of us though). 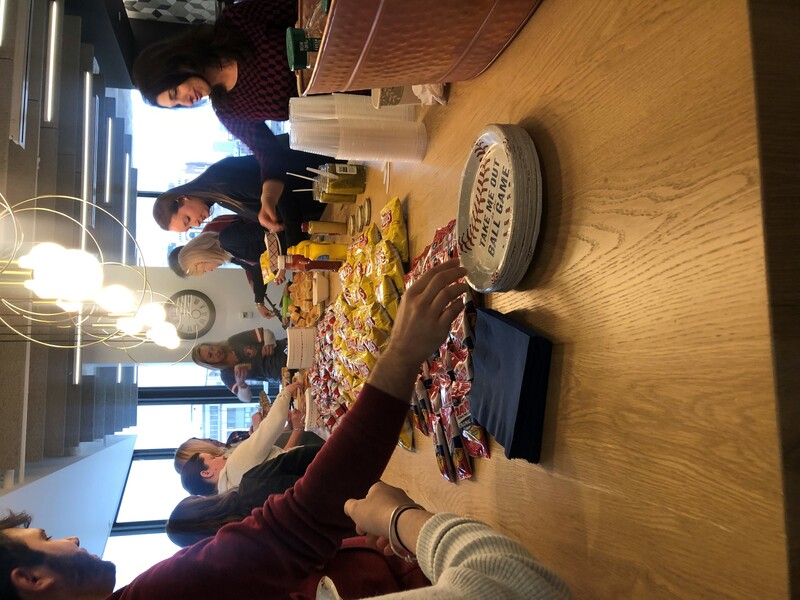 At SHIFT, we work hard for our clients every day, but it’s nice when we can all come together and take a bit of time out to speak to one another and celebrate something we all enjoy – food. Oh yea, and baseball. There’s always something exciting happening here be it a Boston sports win or a client win. If you think you’d like to be part of our team, take a look at our openings! 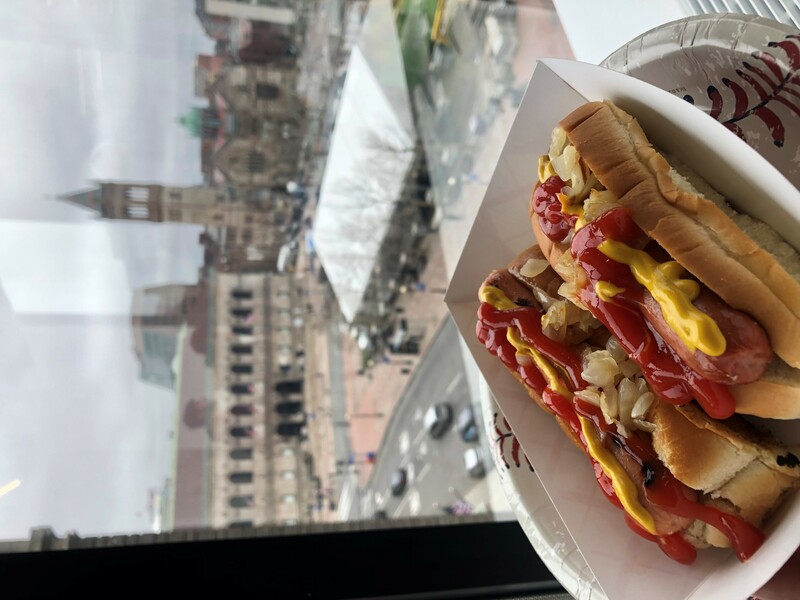 Here’s to a great baseball season and Go Sox!